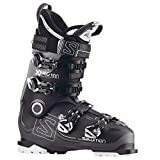 Best Ski Boots: Almost every skier knows the importance of safe and reliable equipment when it comes to conquering tricky slopes. A comfortable and safe ski boot is an absolute must-have in case you wish to be an adept skier. However, we see accidents and fatal injuries due to people choosing non-professional or unsafe equipment. This has happened to famous people too: from Angela Merkel to Michael Schumacher and Arnold Schwarzenegger. The great Schumacher lies in a coma still. We’ve already added a list of best ski helmets 2019 in this site, and now we are presenting this list of the safest and best ski boots of 2019 has been drawn up to help you overcome the dangers. 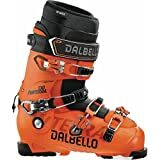 These are the top rated best ski boots 2019. Anyone of these will be of enormous benefit to you. We have provided a verdict at the end of each of these items so that you have an idea of what the pro and cons of each ski boot are. 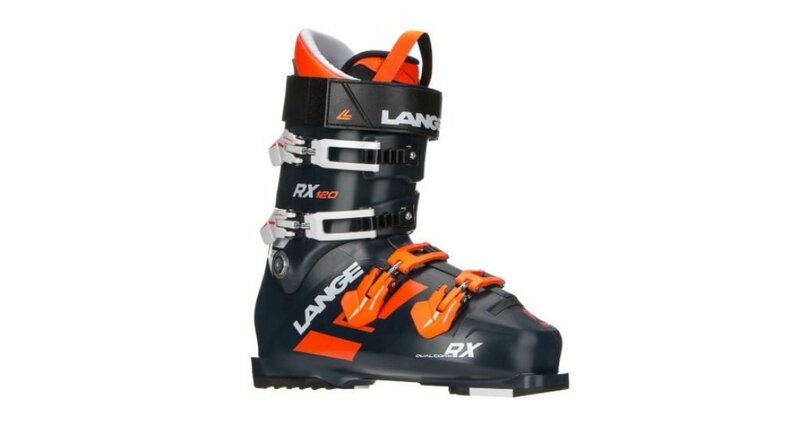 The Lange RX 120 is one of the best downhill ski boots for advanced skiers. It has a fantastic and eye-catching design which has often been imitated but never successfully replicated. As is well-known, advanced skiers look for a ski boot which will provide them with a mixture of comfort and dexterity. This model is one which has never failed to excite us. The Lange RX 120 is apparently inspired by the company’s race-bred RS boots as some of the points are pretty similar. It shares the same aggressive and powerful stance, as well as 4 burly buckles. The power strap is extremely well-executed. All in all, this latest edition is stiff and aggressive. It is also remarkably nimble and ensures superior performance. The RX 120 is also a convertible ski boot. The downhill performance/capability is complemented by the inclusion of swappable soles for hiking. The all-new Lange RX comes in a 130 flex as well as a 130 Low Volume version that has a 97mm width. If you can afford the extremely high price tag, this is the downhill ski boot that you must consider. If you can afford it, and this is a point that must be borne in mind, this is the best available downhill ski boots. It is extremely well-designed and streamlined for a superior performance. Although it is a tad heavier than most comparable best ski boots, it compensates by adding a level of surety in its performance. Lange clearly has a winner on its hands. 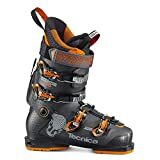 This is the best customizable downhill ski boots 2019. Customization is an enormously important factor in any manner of outdoor events or sports. No company, however, takes customization so far as Tecnica. Its levels are unparalleled. It adds a wide range of extra options which justify all the extra money that it charges for its boots. Ask the company and they will manufacture a pair of best ski boots based perfectly on your own foot’s anatomy. That is how far the customization levels are. You can add a ton of extra materials to it as well in order to make it even better than it is when shipped to you. The Tecnica Mach1 also has a highly customizable liner and a shell which will be ground and fitted/manipulated depending on your requirements. What we liked the most about the Tecnica Mach1 130 review is that it also possesses extremely superior and sufficient Alpine performance. The stance is a little more natural when compared with many rivals while its 130 or 120 stiffness models also possess higher power transfer. Overall, this is one model which can be described as the best medium volume ski boots on this list. 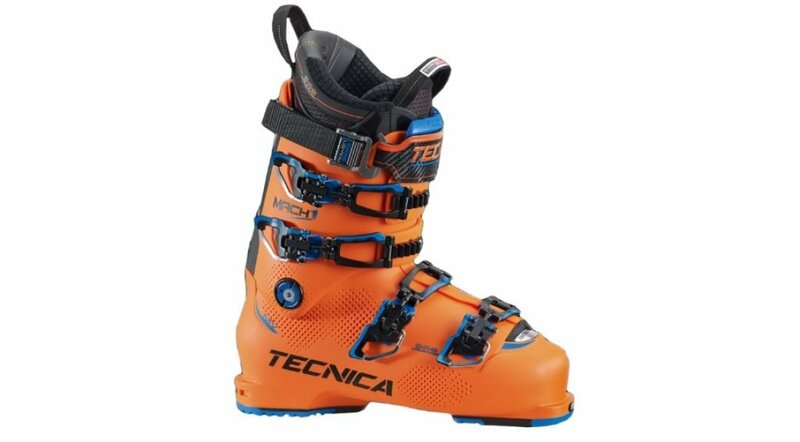 If you are a stickler for perfection and performance, the Tecnica Mach1 130 is the ski boot for you. It is more scientific in its outlook than most comparable boots and is often seen as one of the most modern downhill ski boots. What makes it even more fun to use is its supreme customization options and stability. Salomon is universally accepted as one of the most advanced ski boot manufacturers of the generation. On our list, this is the best ski boots for women. While most advancements in the field of ski boots have been made in the field of safety, this model has something a little dissimilar: it has a heat moldable shell which allows for unconditional comfort and foot support as far as hiking and skiing are concerned. The Salomon X-Pro 100 is also one of the most customizable ski boots in production currently. Salomon’s products are currently advertised as being both robust and adjustable, something that we believe is possible due to the 360-degree custom boot design which the company has used in its construction. This special design makes the boots able to be rotated and manipulated across any directions of the feet. This is also one of the most structurally solid boots currently available. We admired three special traits it had: a very plush liner, some excellent and solid support, as well as a smooth forward flex. The smooth forward flex is most effective when the boot is being used in downhill skiing. 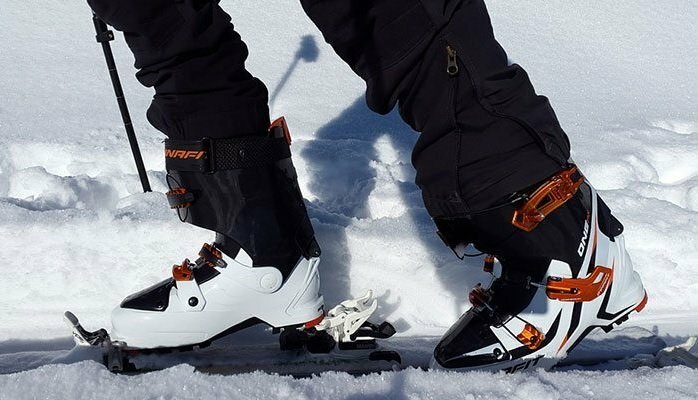 The all-new and handy X-Pro can be considered to be one of the best downhill ski boots for intermediate skiers. More advanced users can perhaps upgrade to the more solid 120 or 130 flex versions which are useful and durable as well. This product has turned out to be one of the best ski boots there currently is. The modern design elements which the boot has been ably supported by a proven flex system which makes it an excellent and automatic choice for both experienced hikers as well as those who are about to make the first plunge. This is an excellent mid-range ski boot. Next up on the list is the Dalbello Panterra 130. The Panterra is a fine example of how much modern technology affects the ski boots and is the best ski boots for men (downhill) on this list. This is also a ski boot meant for advanced users. The boot looks remarkably futuristic and has a distinct look to it which is rather stylish. At its core is a slick 3-piece shell which gives it additional support and grip. The ski boot has been designed keeping in mind the needs and the demands of the modern skier who likes to brave the elements. Every serious skier knows the importance of superior power transfer and the stiff lower portion provides ample of that. The fact that there is a slightly less stiff upper part flexes smoothly and effortlessly is what makes it more than a cookie cutter ski boot. What we liked the best about this ski boot is the presence of the newly-redesigned and upgraded I.D. liners. These liners add a solid feel to the boot and also adds to the premium feel of the Panterra. It is also resistant to the more demanding downhill skiing trips and adds to the warmth and support without which no top ski boots of 2019 can be complete without. Onboard is the company’s Contour 4 Technology which it uses to get even the smallest feet a good fit within the boot. This is especially useful when we consider that most of the best all mountain ski boots have this technology. Besides, given the price tag when we bought it, it was relatively inexpensive considering that most other other 130-flex options in the market are significantly more costly. 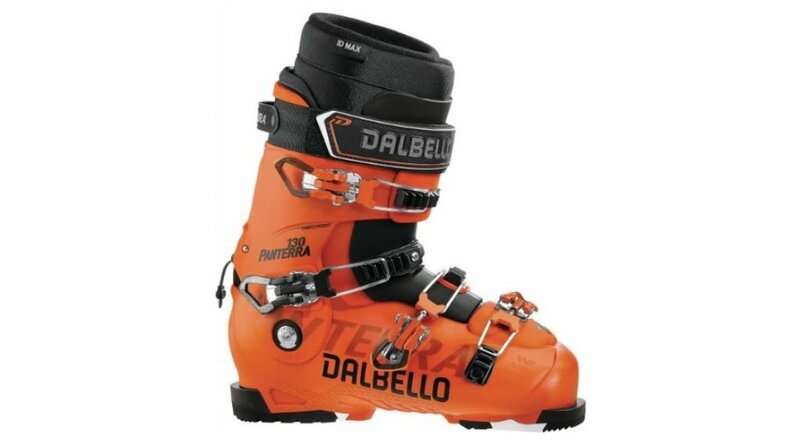 The Dalbello Panterra is definitely one of the most comfortable ski boots around. Arguably one of the best ski boots, this is also one of the warmest thanks to the internal linings. The stiffness and the flex factors of the boot are also very good like we mentioned. This is perhaps the best downhill ski boots for intermediate skiers. Comes highly recommended. Nordica is well-known for its skiing products. 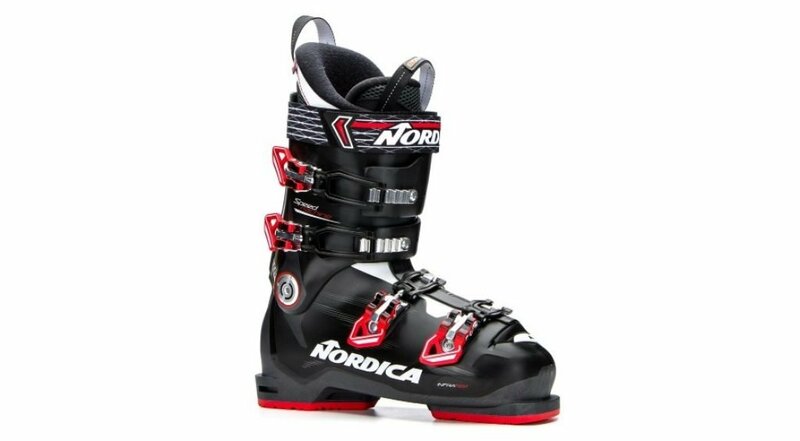 The Nordica Speedmachine 100 is the best unisex downhill ski boots of 2019. 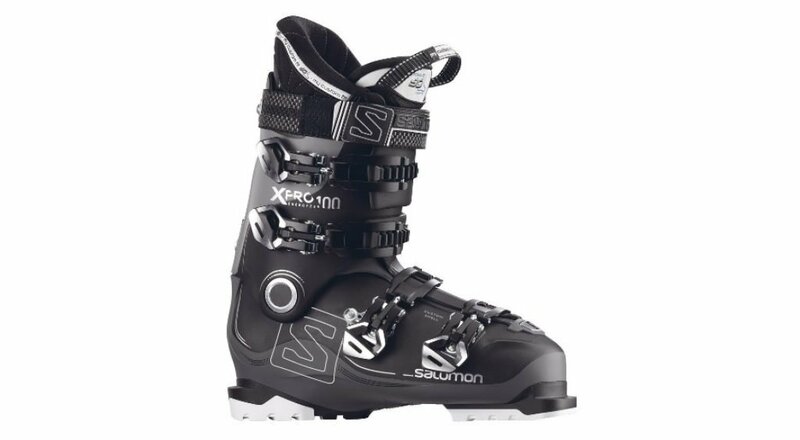 The first thing that catches the eye is the price tag: it is significantly lower than most such ski boots and the price tag is just right given the boot’s features. This might be the best ski boots under $400. Not only is the Nordic Speedmachine 100 good to look at, they are also one of the most comfortable ski boots. This is an all-mountain ski boot and has a very cushy and warm liner that is fitted with the PrimaLoft insulation technique. This pair is also known for offering a fantastic fit customization which is ideal for intermediate and advanced users alike. Overall, this boot with four sturdy straps are a must-have for skiing beginners. However, many professional skiers will balk at how thin the liners are. The major plus points that this pair has been that it is not only superbly customizable but also comes with a greatly improved exterior. Besides, the lower price tag does not seem to have placed too great an effect on the quality which makes it an even more lucrative prospect. Named after the most dangerous mountain peak in the entire world, the K2 Spyne is a 100mm boot which is ideal for all kinds of mountainous terrain. 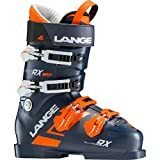 We have observed that this is one of the most favorite ski boots as far as resort skiers are considered and given that you have standard/average options like 100 and 102mm, this middle-of-the-road ski boot is ideal for beginners although it may lack the same dynamic nature that many more expensive boots may have to offer. 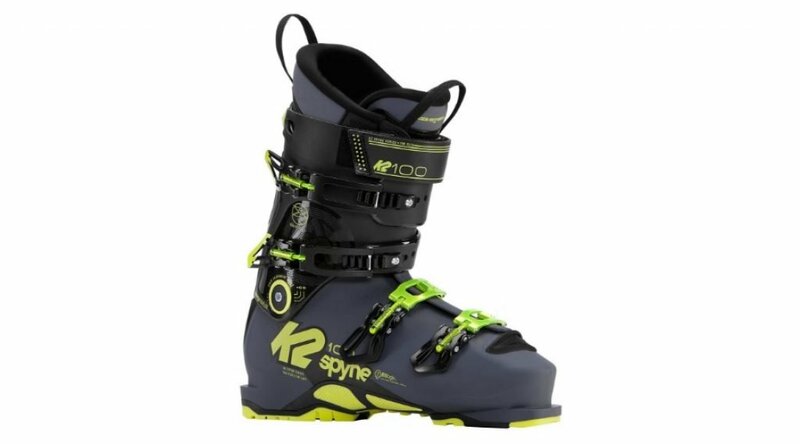 One of the best things about the K2 Spyne is the fact that it has a 130 flex which is indeed ideal for both hard chargers as well as heavier skiers. This piece of equipment is also moderately stiff and is also remarkably good for heavy skiing. Onboard is the new and proprietary Powerfuse Spyne which is essentially a rear co-injected “Y” shaped support that adds a lot of stability to anyone who is using the pair. Easily one of the best features that this pair of boots has is that it is comfortable: it is as comfortable as any pair of standard boots. This is basically due to the fact that there is a quality liner and the buckles are simply superb. While the company itself may be a relative newcomer in the field of ski boots, it has managed to create its own mark thanks to the fact that it did not originally begin as a racing boot; K2 always intended to manufacture an ideal skiing boot and they have managed to do exactly that. This is one of the top ski boots for all-mountain use. In every sense, it seems that the company has managed to create a very good ski boot as it incorporates the best of technology and design. The K2 Spyne may not be an ideal ski boot for people who have narrow feet but works just fine with almost everyone else. It can act as a great backup to your skiing trip should you so desire. A removable spoiler for adjustable forward lean angle from 12 to 14 degrees. Powerfuse Spyne: A rear co-injected "Y" shaped support that adds strength and power to the Energy Interlock in order to maximize fore/aft flex efficiency and lateral stiffness for responsiveness in every type of terrain. Yet another model from the house of Tecnica is the Cochise 90. 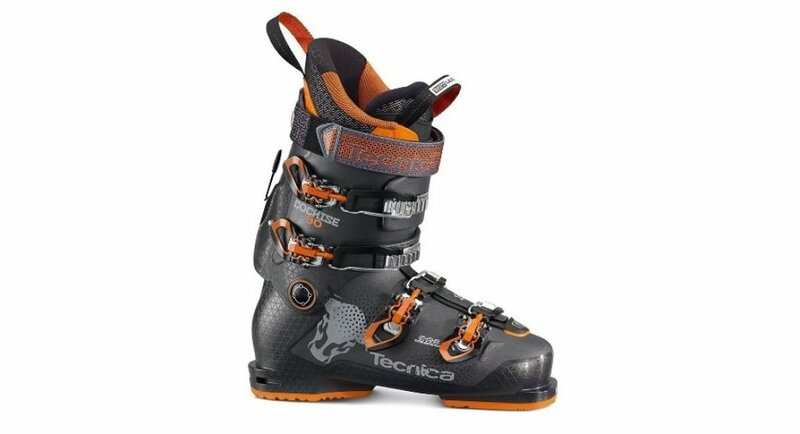 The Tecnica Cochise 90 offers a great range of motions and is considered to be one of the most maneuverable downhill ski boots of 2019. Tecnica prides itself on simplicity and this boot has been manufactured using the very basic premise of being easy to use while having all the right features that such a boot should have. The Tecnica Cochise 90 is clearly one of the most prized items by bootfitters: this is so because it is both comfortable and customizable. The one big thing that the Tecnica Cochise 90 has is that it is basically a medium-stiff boot that boasts a flex rating of 90. A flex rating below 100 means that it is usable both in the in-bounds as well as in the backcountry. This USP has also been recognized by the company itself, so much so that the Cochise itself has a walk/tour mode. More serious users can resort to the higher flex 120 and 130 models that also come with better tech binding inserts. The Tecnica Cochise 90 has clearly been worked upon by the parent company over the last year as some distinct advantages have been observed by us back in January of 2019. The hike mode, for one, has seen a massive amount of improvement. It is now as versatile to use as it is fun. Overall, this model from Tecnica stands up well when compared to other entries in this list. You must remember that the boots are easily some of the softest ones on the list and are yet extremely sturdy. 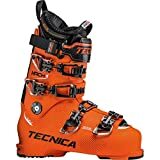 Thanks to the walk/tour mode, the Tecnica model is not only one of the best ski boots but also one of the most versatile ones there currently is. Rossignol is easily one of the most identifiable names on the list. The Alltrack series of ski boots is probably one of their most attractive line-ups. 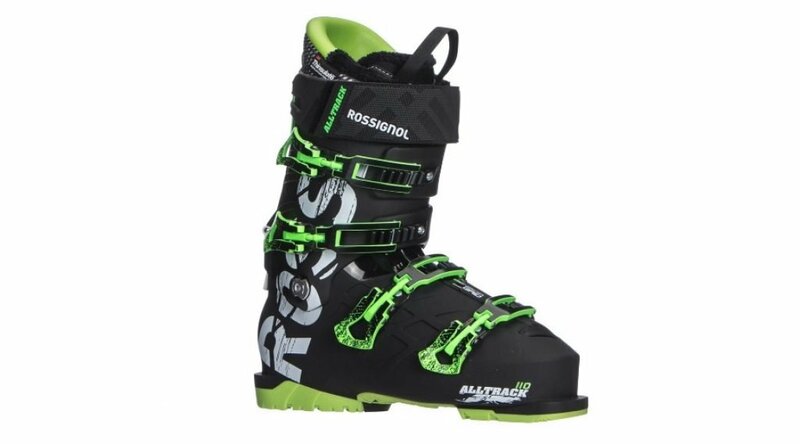 The Rossignol Alltrack 110 is well-known for its capabilities and it is one of the best ski boots for intermediate users. This pair is also ideal for use on all types of mountaineering trips given that it is not only lightweight but also sturdy. One of the most entertaining and interesting features which the Rossignol Alltrack has is the added walk mode function. The walk mode function is important not only when skiing but also adds to the hiking aspects of the boots. However, as far as the flex required for an uphill trek is concerned, this model admittedly leaves much to be desired. However, given that the price tag is definitely on the lighter side, as is the weight, we can easily assume that this will be a solid buy for budget-conscious skiers. It is also pretty comfortable, has some prominent liners to keep the feet warm, and has light insulation which makes it pretty decent even in the coldest of climates. In case you want more flex, you can always try out the 90 and 120 flex models which will help you a lot. 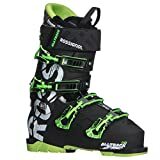 All in all, the Rossignol Alltrack is definitely one of the best ski boots of 2019 for the simple reason that it provides a lot of groundbreaking features ate decent prices. It is also one of the most comfortable boots around and is considered by many to be a perfect combination of comfort and sturdiness. The kudos that it receives are thoroughly deserving. Every type of specialized products that skiers and hikers use must necessarily have certain features which can be used to purchase the best available product. If you do not know what you are looking for, take a look at the following guidelines before buying best ski boots 2019. Technically put, there are three main types of hiking boots: Alpine Touring (AT) and Alpine/Downhill. The third type is not much different; however, it has the Walk-to-Ride (WTR) feature. Of these, the Alpine Boots are normally ISO 5355 certified. A lot of boots abide by this certification as well. Most Alpine boots have multiple adjustable buckles and customizable liners. The AT boots have ISO 9523 certification which helps them in having a longer life. Lastly, the WTR boots are alpine bindings while some AT bindings too are of this type. This is why the compatible boots must say that they are WTR ones. All best ski boots share these two features. Now, you can argue that these are interchangeable; however, you must ensure that the boots have a thick and strong outer lining with a softer lining inside. Liners manufactured by Primaloft and Thinsulate are of very good quality. The more customizable the shell is, the better the boot will fit. Heat-molded shells are of recent vintage. Since no two persons have the same type of feet, it is important that the boots should fit like a glove. Speaking of gloves, we do have our own list of the best hiking gloves. Most modern ski boots have the thermoformable line inside which means that they adjust based on the feet’s shape by using the heat generated by the body. Buy a boot with these features. The Flex of a Ski boot is measured by an international standard. The more the flex rating or the stiffer the flex, the more the power transferred from the legs to your skis. When buying a top downhill ski boot, ensure that you have at least a flex rating of 90. All top ski boots are measured by the Mondopoint scale. When measuring the ski boot’s sizes, the Mondo ratings must be kept in mind. The Mondo rating is measured via the length of the ski boots’ inner sole and will be listed in centimeters. You can now check out this online Mondo calculator. The price of anything can be a big thumbs-up or a downer when buying anything. Remember that most of the best downhill ski boots of 2019 are extremely expensive. While deciding to buy a ski boot, ensure that you pay a good amount of thought before splurging. Before we leave you to contemplate which the best ski boots 2019 are and which ones you should buy, remember that the price of a boot is not always a guarantee of good quality. Similarly, it must be kept in mind that the brand name is also not a guarantee of a great product. You should try out at least 3 or 4 pairs before you focus on anyone.